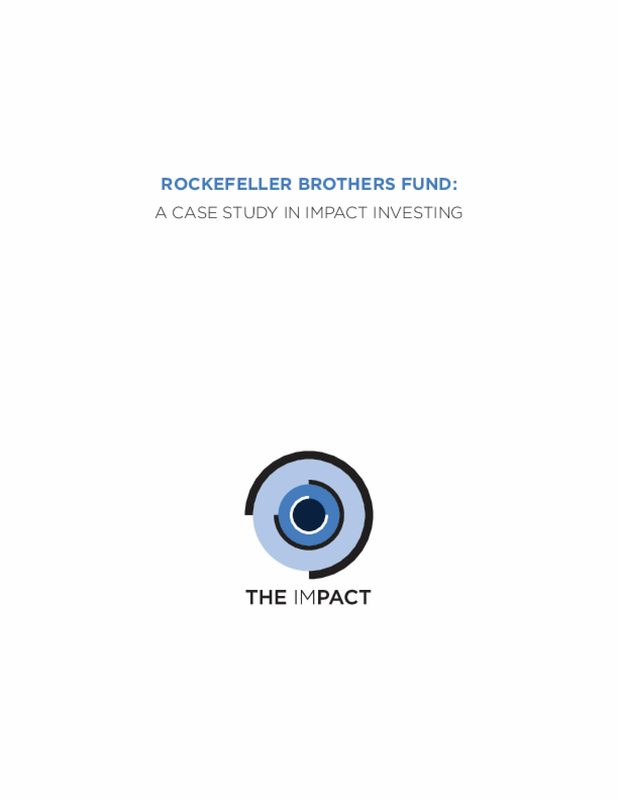 This case study explores the Rockefeller Brothers Fund's mission-aligned and impact investing strategies. This is the first in a series of case studies on pioneer impact investors produced by The ImPact. The purpose of these case studies is to offer actionable insights that families can use as they work to align their investments and their values. While every family is unique, ImPact members have experiences that provide for shared learning. Through understanding the decision points and outcomes of the Rockefeller Brothers Fund case, other families can make more informed decisions as they develop and implement their own mission-aligned and impact investing programs. Copyright 2016 by The Impact. All rights reserved.